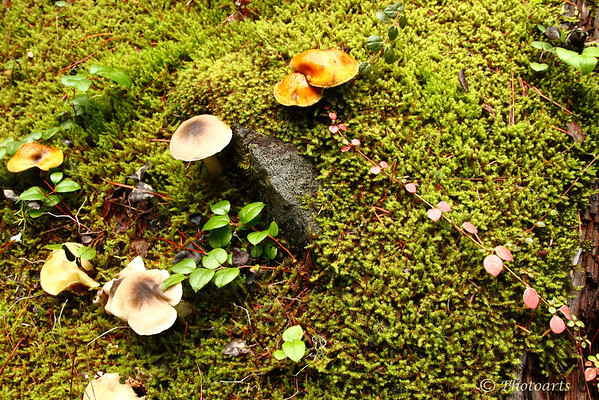 Fall season brings a mix of colorful mushrooms and leaves atop a carpet of moss in the moist rainforests of Pacific Northwest. Wonderful shot! Great detail and color.